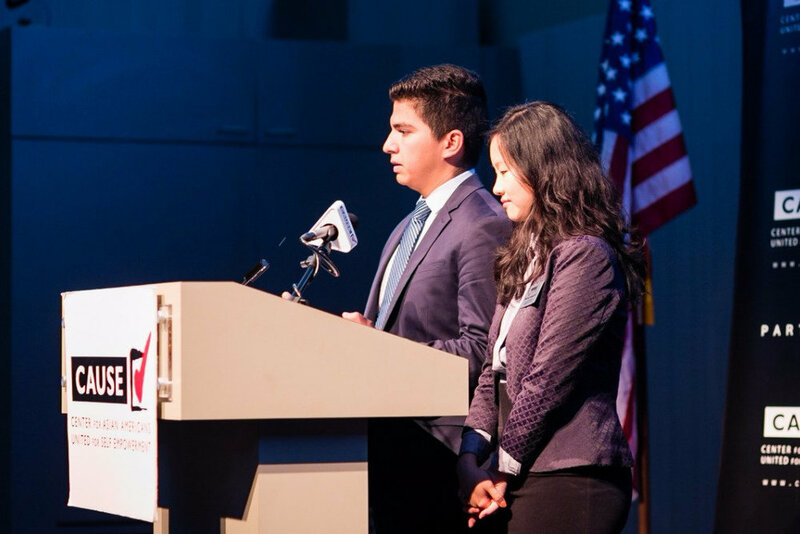 The Leadership Academy teaches students the importance of civic engagement and political participation and prepares its participants to be leaders at the forefront of the democratic process. Each week, interns are exposed to decision-makers, policy makers, and the issues of the day. 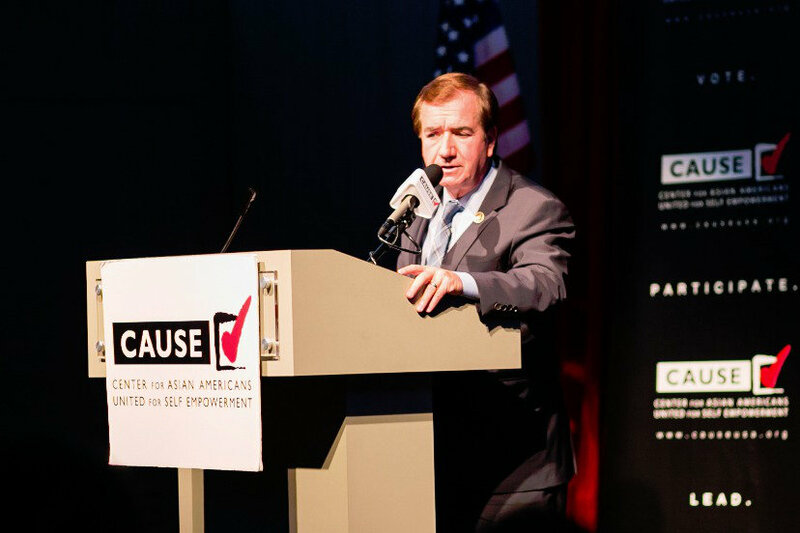 Students gain a deeper awareness of the political issues facing the Asian Pacific American (APA) community in California and the nation. Program features include: full-time political internship, weekly civic leadership workshops, annual capital conferences, and completion of a group project or policy paper. Leadership Academy Alumna ’12, Monica Lee, served as the MC and shared her journey on educational policy sparked from the internship experience. The Washington, DC interns authored a public policy paper on campaign financing. They made a recommendation on a public matching fund system based on programs implemented in other cities. They pointed out the proposed system will encourage and promote political participation of the APA community both as voters and candidates. The Los Angeles, CA cohort worked on a public service announcement (PSA) video to mobilize young voters in the APA community. Additionally, they also worked on an outreach plan on how to spread the word for the PSA video in order to reach their target audience. Following their presentation, the cohorts went on to share their personal testimonials. “I am so grateful to CAUSE for this summer, when I got to meet changemakers and trailblazers of every sector.” – Blessing Jee, Harvard College, placed at the US Department of Housing and Urban Development in Washington, DC. “Having participated in the CAUSE Leadership Academy two years ago, worried if there was anything new I would walk away with, I was completely wrong.” – Edwin Saucedo, University of Southern California, placed at the US Department of Housing and Urban Development in Washington, DC. 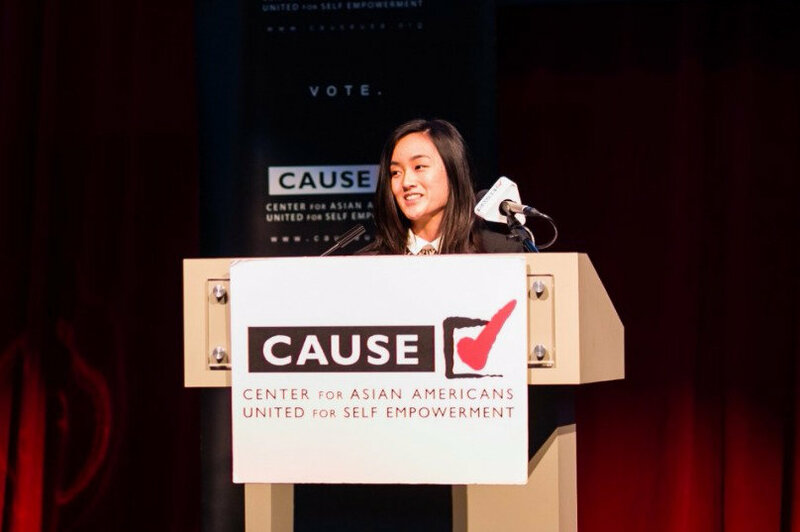 “My time with the Congresswoman’s office and CAUSE taught me several lessons, but the lessons about work ethic and passion are things I’ll keep with me for a long time.” – Zenni Duong, University of California, Davis, placed at the office of US Congressmember Judy Chu in Pasadena, CA. “…at the kickoff, I mentioned the mantra of ‘learning for the sake of doing and doing for the sake of learning.’ CAUSE is the embodiment of this belief.” – Kevin Hsu, Claremont McKenna College, placed at the office of CA Treasurer John Chiang in Los Angeles, CA. “I really hate goodbyes, so I am treating the end of the CAUSE Leadership Academy as the starting point to my continuing lifelong path of creating a tangible, positive difference within the community.” – Sabina Lee, University of California, Los Angeles, placed at the Office of CA State Controller Betty Yee in Los Angeles, CA. “As a community, it is our fight to take the political power that we deserve, and we are stronger together.” – Jess Liu, University of Michigan, placed in the office of US Congressmember Adam Schiff in Burbank, CA. “I graduate from this Leadership Academy today more confident in ever that I am capable of serving the APA community, and I am proud to be a part of this pipeline.” – Eric Phung, Yale University, placed in the office of CA Assemblymember Ed Chau in Monterey Park, CA. 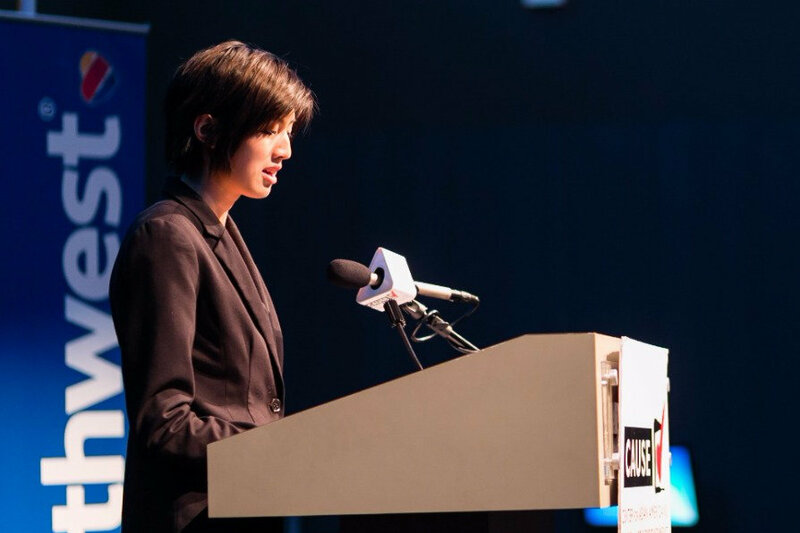 “It is my hope that there will be more opportunities for future APA youth to feel as supported and empowered as I do today, and I look forward to making that a reality.” – Joanna Tien, University of California, Los Angeles, placed in the office of US Congressmember Grace Napolitano in El Monte, CA. 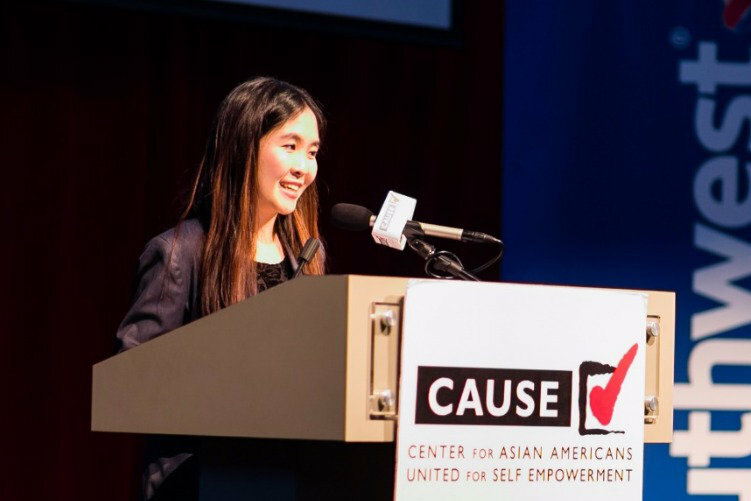 “I am a proud Vietnamese American woman from a low income background and I want to show that being a leader and that achieving success is possible in spite of a disadvantaged background and a lack of resources.” – Xuan Tong, University of California, Riverside, placed in the office of Los Angeles Unified School District Board Member Scott Schmerelson in Los Angeles, CA. 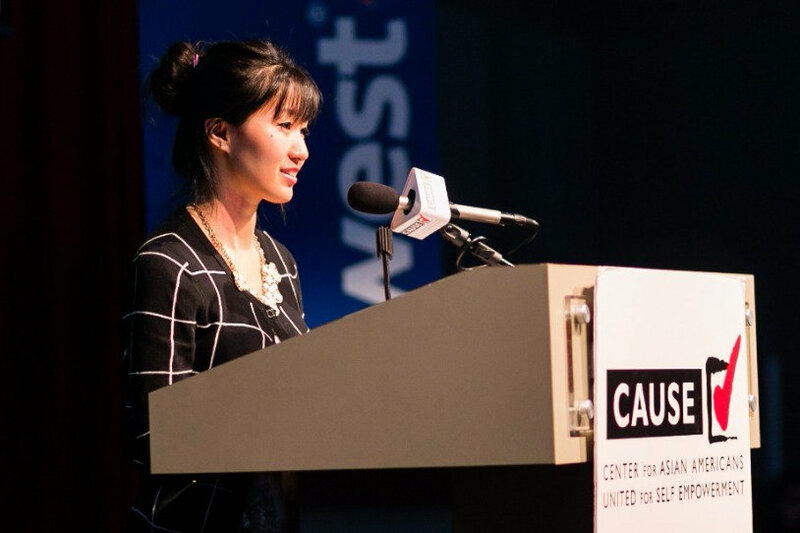 “At the end of my nine weeks, I leave knowing that this is only the very beginning of my commitment to the community.” – Erika Zheng, University of California, Berkeley, placed in the office of Los Angeles City Mayor Eric Garcetti in Los Angeles, CA. Annie Yee, President of Chinese American Citizens Alliance (CACA)– Los Angeles Lodge, showed CACA’s strong support for the program. Keynote speaker, California Judge Casimiro Tolentino (retired), congratulated the graduates and challenged them to be part of “the important role in reminding mainstream community that we are part of the fabric of America” by knowing our history, developing coalitions and networking with other leaders. CAUSE Board Chair Charlie Woo thanked and recognized the families of interns for supporting the interns throughout their journeys. He also commended on the intern supervisors for their guidance and partnership in developing the next generation of civic leaders. After remarks from the elected officials, the graduation concluded with each graduate contributing a small donation as a gesture of ensuring future classes of interns are able to enjoy the same opportunities they did. 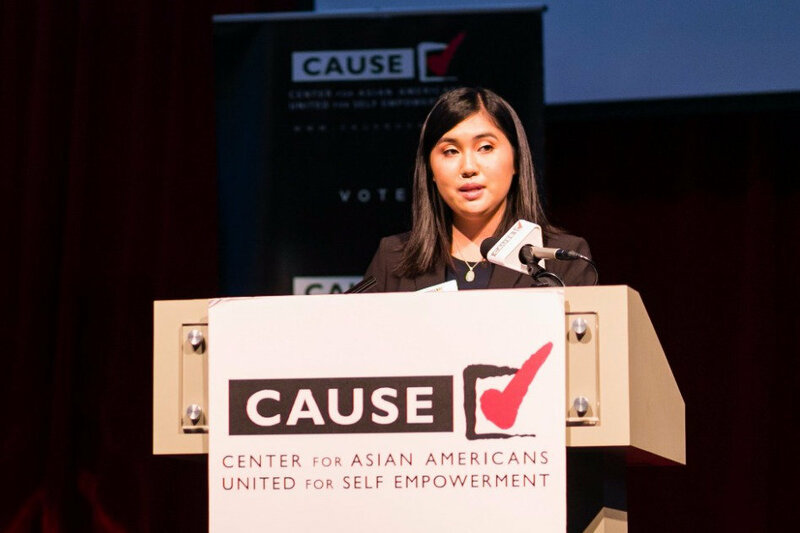 Kim Yamasaki, Executive Director of CAUSE and CLA alumni, remarked that in her two year anniversary from graduating from the program, she was able to make her first $1,000 pledge to CAUSE – the stipend she received as an intern. “I hope each of you will be just as successful and continue in the spirit of giving back,” she expressed to the graduates.